Meek Mill attends the 4th Annual TIDAL X: Brooklyn on October 23, 2018 in New York City. 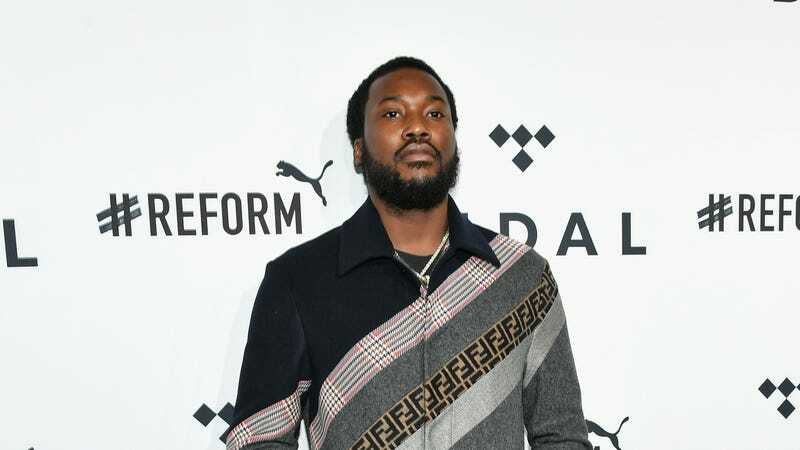 Meek Mill has had his share of Dreams and Nightmares, but now he’s documenting what has been his reality for more than a decade since he was arrested for illegally owning a firearm and assaulting a police officer when he was 18 years old. Meek, who was born Robert Rihmeek Williams, was sentenced to two to four years in prison in November 2017 for a parole violation, in relation to an Instagram video of him popping wheelies. It was the third time Judge Genece Brinkley booked the rapper for parole violation and sparked a debate on the severity of his punishment as well as a larger conversation regarding the criminal justice system in general. He was released on April 24, 2018, after serving five months. Along with taking a look at the corruption surrounding Philadelphia’s system, each hour-long episode will dive into Meek’s childhood, his imprisonment, present-day developments in his ongoing legal battles as his trial continues and his personal life post-incarceration. The series will feature original music from the artist. The Championships rapper posted a teaser trailer on Twitter Sunday morning. “I never really looked at it as a nightmare; I looked at it as real life for a black kid in America—this is real life,” Meek muses in the teaser. Free Meek debuts on Amazon Prime, Summer 2019. Soulja Boy Tells &apos;Em...He Taught Drake Everything He Knows?